SAN FRANCISCO — Microsoft still hopes it can put the “reality” into virtual reality sales. That pricing is roughly in line with the competition. Facebook is now selling its Oculus Rift goggle and controller bundle for $400, slashed from $700, reflecting tepid consumer appetite for one of tech's most-hyped hardware forays. Microsoft is gamely trying to change that story. Its VR content includes the travel-focused HoloTour, offering virtual tours of destinations such as Peru's Machu Picchu, as well as games such as Minecraft, Luna, Space Pirate Trainer and Fantastic Contraption. The new gear, which connects to the computer, will also be compatible with content featured on SteamVR. 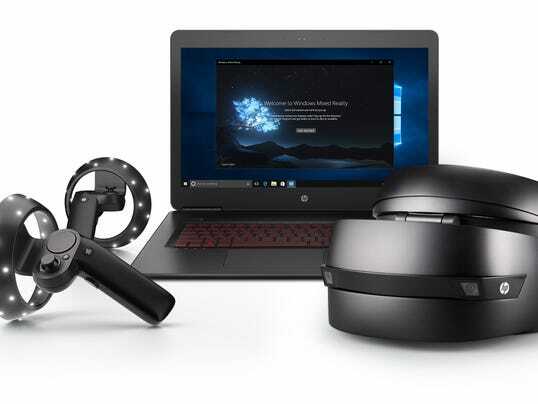 The company also hopes the ubiquity of the Windows operating system will result in developers producing a rash of new content for its mixed reality gear. But the bigger sales pitch is both ease of setup and compatibility with less powerful computers, both of which Microsoft hopes will draw new fans to its Windows Mixed Reality platform. Microsoft officials say holiday shoppers will be offered two new lines of Microsoft PCs and laptops that start at $499. 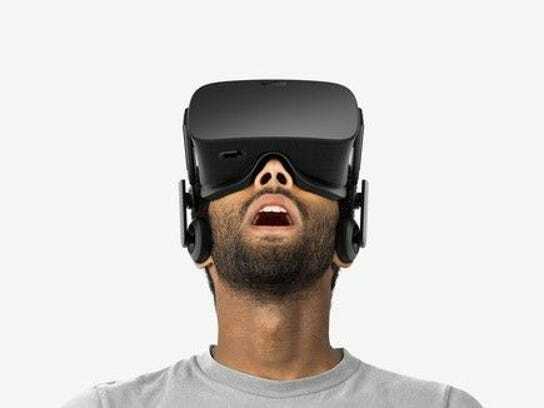 For comparison, when Oculus first launched, the goggles cost around $700 and ran on large PCs priced at around $1,000. “This is the future of computing, and we want everyone on the journey with us,” said Greg Sullivan, who leads communications for the company's Windows and Devices unit and gave USA TODAY a demo of the product late last week. Looking into a Windows Mixed Reality headset, users are greeted by the cartoon-like dwelling called Cliff House, set amid a landscape of mountains and ocean. Hopping from floor to floor and room to room brings you face to face with screens featuring everything from email programs to Skype video calls to a Minecraft portal. Moving around is accomplished through triggers on the handsets, which takes some getting used to if you're not a gamer. While the brief experience was novel, it remains difficult to see how it could supplant working on a laptop or PC just yet. “Someday we’ll all expect to interact with digital objects the same way we interact with physical things, in 3D,” he said. To push that agenda, Microsoft engineers have leveraged the body-positioning sensors in its $3,000 developer-only HoloLens augmented reality headset. 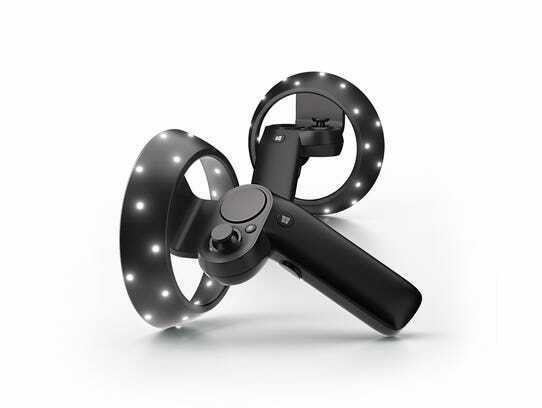 The new Windows-compatible headsets detect the position of the hand controllers based on the lights and sensors inside those controllers. That means there's no need to set up external cameras near the computer, which typically forces users to play only in that one room. Beyond portability, Microsoft says setup time is less than five minutes. The lower-price ($499) standard PCs will feature integrated graphics and be capable of processing images at 60 frames per second, while a line of more expensive so-called ultra-PCs will feature discreet graphics and run at 90 frames per second. Frame refresh rate, which controls image latency, is critical to having a VR experience that isn't nauseating. Although most experts would call Microsoft's tech virtual reality, it prefers the term Windows Mixed Reality because it mixes an occluded world (where users cannot see the real world) with sensors that sense both hands and body movement. But the new Microsoft gear really is virtual reality fare. Gear from Oculus Rift and HTC Vive work in much the same way, and all of these devices require goggles to be tethered by wire to a computer or laptop. Consumer excitement at the prospect of teleporting to new worlds with computer-powered goggles has yet to translate into big sales. What's more, industry advisors Digi-Capital recently predicted mobile augmented reality — think using your smartphone to find Pokémon Go! figures — could become the primary driver of a $108 billion VR/AR market by 2021, $83 billion of which would be claimed by augmented reality. That sort of prediction doesn't seem to bode well for anyone playing in the tethered gear space. 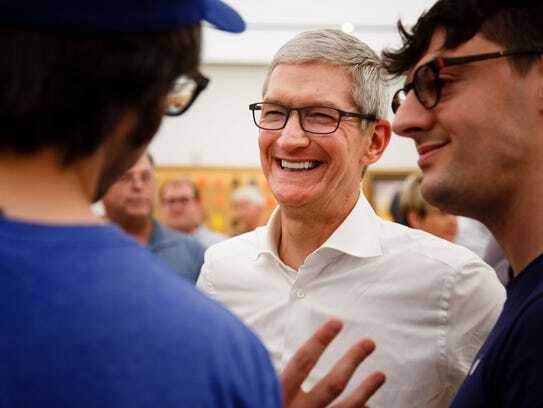 Apple has noticeably remained on the virtual reality sidelines, but CEO Tim Cook has been vocal about his enthusiasm for AR. Apple is expected in a few weeks to hold its annual fall gathering, where new products such as the next generation iPhone are expected to be announced. Experts anticipate new iPhones will offer augmented reality experiences. Microsoft continues to reinvent itself under CEO Satya Nadella, pivoting from a legacy software seller to a cloud- and enterprise-focused company. That move has resulted in a record-setting stock price that has risen steadily over the past year from $58 to $72. But while recent quarterly reports show continued gains in its Azure cloud business, PC sales remain a consistent drag on profits. For Microsoft, inventing the next great computing platform couldn't come soon enough. Follow USA TODAY's Marco della Cava on Twitter.